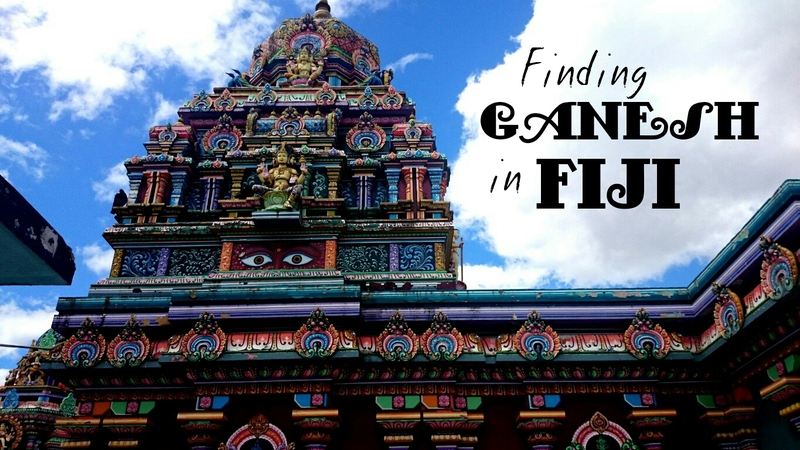 One thing you might not have expected to find in Fiji is some of the finest Hindu architecture outside of India. Yet in downtown Nadi, that’s exactly what you’ll find. The Sri Siva Subramaniya Temple sits on a T intersection at the end of Nadi’s main street shopping district, a quiet, colourful respite from the busy downtown area. It’s a very active worship site – when I visited the other weekend, around 30 people were holding a prayer session for the 45 Fijian peacekeepers being held hostage in Syria. I was told there were also prayer sessions being held in major centres around the country, including Lautoka, Ba and Labasa. Hinduism is the second largest religion in Fiji (after Christianity), with around 30% of the population identifying as Hindu. The religion arrived in Fiji with the Indian indentured labourers brought to the Pacific by British colonialists to work the sugar cane plantations, and it stayed with their descendants. Approaching the temple, I was greeted by a friendly tour guide asking me for a FJ $5 entry fee (devotees don’t pay, but I’m clearly a tourist). He gave me a bright pink wrap around skirt to cover my bare legs, and took me on a tour of the temple. The murals are just stunning, the colours brilliant against the cloudy blue sky. There are literally hundreds of images showing different aspects of Hindu mythology. My guide ran through several parables in a whirlwind fashion – I’m sorry to say I don’t remember the details! But I was struck by the breadth of the stories, and the ways they all seem to be interrelated. Taking photos inside the main temple isn’t allowed, so I didn’t get any pictures of the priests in their robes and white body paint, but I did ask some devotees if I could take their pictures outside, and they were more than happy to oblige. Their saris were just beautiful, and there were many others dressed just like them. Despite it’s position near a busy intersection, the temple grounds are wonderfully tranquil. They offer food for the homeless or just anyone who would like to join them, and there are many small temples surrounding the main tower. It’s funny to think that here in the South Pacific, nearly as far away from India as you can get, Hinduism remains part of the backbone of everyday life for tens of thousands of people. 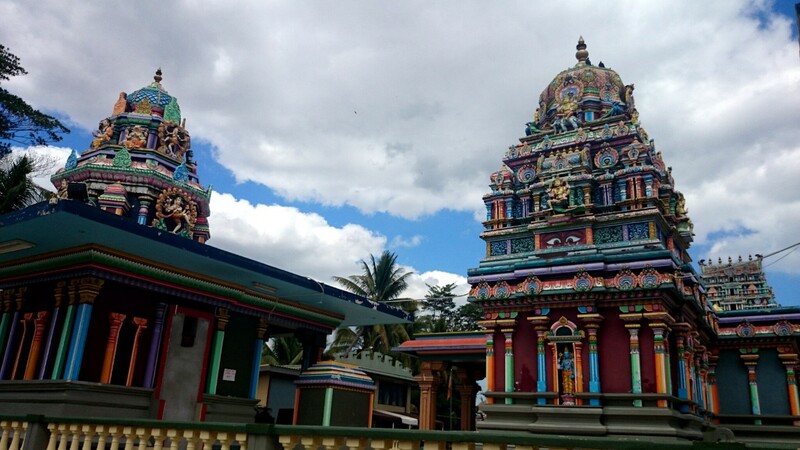 The Sri Siva Temple is an embodiment of that backbone, and an important part of modern, multi-cultural Fiji. And it’s very, very beautiful. Where? Intersection of Queens Road and Nadi Back Road, Nadi. You can walk from downtown, or ask any taxi driver to take you to the temple (they’ll know which one you mean). How much? FJ$5 (≈US$2.50) if you look like a tourist, free for devotees. Additional donations encouraged.